Jessica Ernest. Photo courtesy of Ernest. Imagine: One week you spend your Friday night babysitting for a little extra cash to pay for dance class, and less than a week later you’re making your Broadway debut in one of the most legendary dance musicals of all time. Sounds like a dream, right? 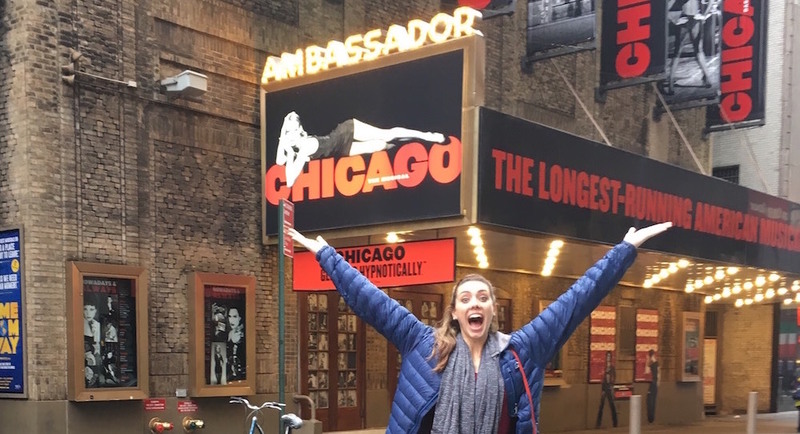 Well, that dream came true for Jessica Ernest, who recently landed the role of Go-To-Hell Kitty in Broadway’s longest running American musical, Chicago. From babysitter to Broadway performer, Ernest’s life changed almost overnight. Her exceptional story is every dancer’s dream: that with passion, hard work and a little luck, the Great White Way is not so out of reach. In the midst of her magical first week of performances on Broadway, Ernest shared her exciting journey with Dance Informa. Tell us a bit about yourself. Where are you from, and how did you begin dancing and performing? What brought you to NYC, and what have you been up to (before Chicago)? “I am from a small town in southern Maine. I would bring home all the sheets from school about extracurricular activities to participate in. My mom wanted me to play basketball; I wanted to do ballet — nothing but ballet! So I started taking ballet lessons, and eventually that lead to school plays, private voice lessons, jazz class, community theater shows, and I was hooked for life. All that led me to get my BFA in Musical Theatre at Point Park University in Pittsburgh, PA.
How did you prepare for the Chicago audition? Did you think it went well? Where were you when you got ‘the call’? What role do you play/cover in the show? How did rehearsals work? How long did you have to rehearse? Was it nerve-wrecking to be thrown into a production where some cast members have been performing it for many months or years? Fosse choreography is deceiving. It looks so simple but is incredibly detailed and stylized. What’s it like to perform this choreography every night? How did the cast treat you when you joined the Chicago family as the newbie? What was the hardest or most challenging part of this process? What was the best moment of making your Broadway debut? Photo courtesy of Jessica Ernest. 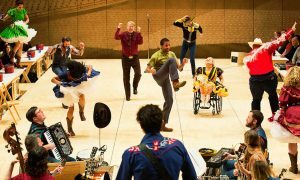 How does it feel to be a part of such an iconic dance show — and the longest running American musical at that? Before making your Broadway debut, you led the life of a gypsy — performing professionally (regionally, on tour and in NYC), dancing and modeling at special events and babysitting. Your life changed almost overnight. Are you pinching yourself? 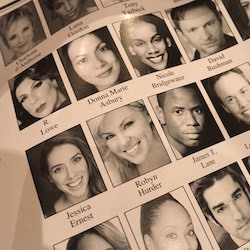 For tickets to see Jessica Ernest and the rest of the cast in Broadway’s Chicago, visit chicagothemusical.com.